By now we have made a few miles and Piber takes me directly to the JGas factory where he says he has some things for me to see. 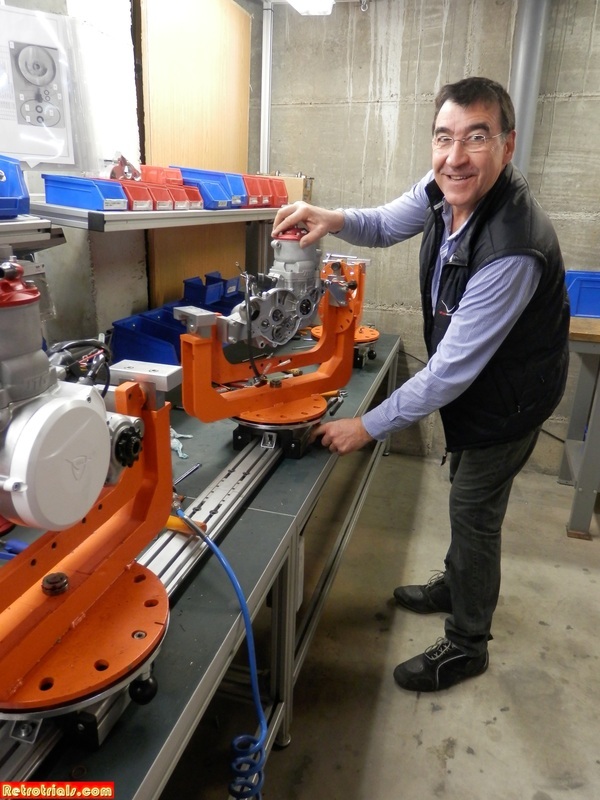 Inside I meet Joan Freixas the factory Merlin and GasGas rider who has worked for Piber since 1988 and who now works for JGas as one of the machines assemblers. I also met the other guys who were also here beavering away assembling. 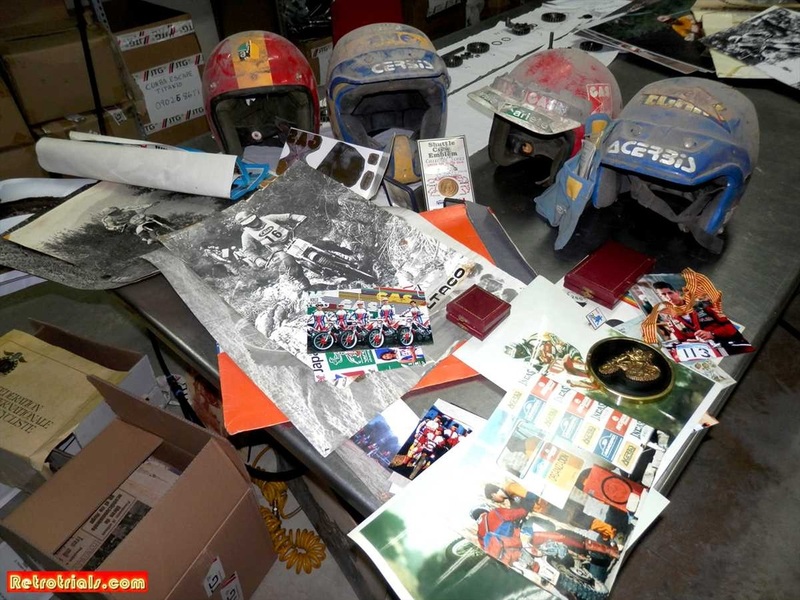 Piber takes me into a rear stock room of the JGas factory. The room 50 feet by 80 feet was crammed packed with boxes from floor to roof. He immediately walked over to the far corner and pointed up at the top shelf of the extensive racking system in the room. Several of the top boxes would be of interest to me. He then fetched a ladder and I quickly took it from him as it was me who wanted to look in the boxes. I sprung up the ladder and phew were they loaded up with old memorabilia. There were about 8 huge boxes. The larger ones were the size a child would turn upside down and make a house out of :). Of course having a severe case of OCD, I had to see the contents of all the boxes, checking under the cardboard flap in the boxes to make sure no little gem was wedged under neath. I was in my element :). I think Piber enjoyed it as well. America and I get agreement from the Army to go this place and they give me my passport to go America. I win the gold medal. When I am here I see one shop. It is called “Accelerate, accelerate”. 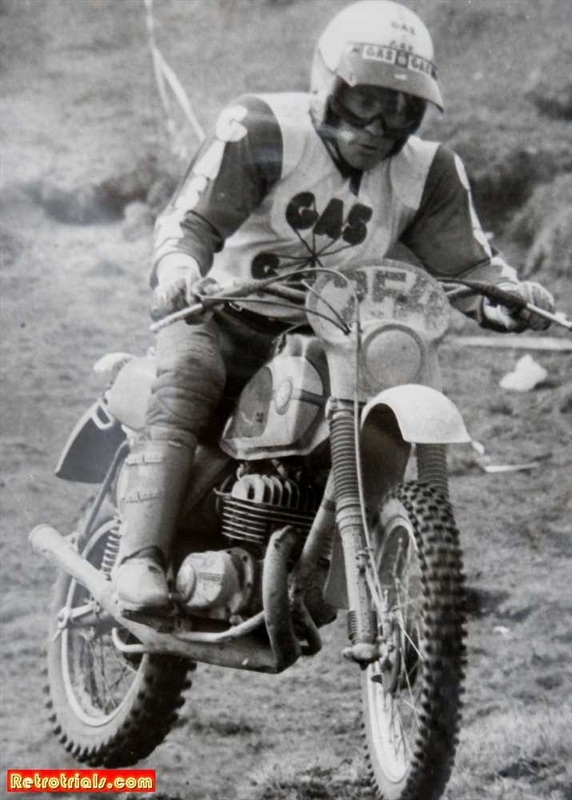 This was my inspiration for the name “GasGas”. I then get the gold Medal, come back leave the military, get married and start GasGas in 4 months ha ha ha. 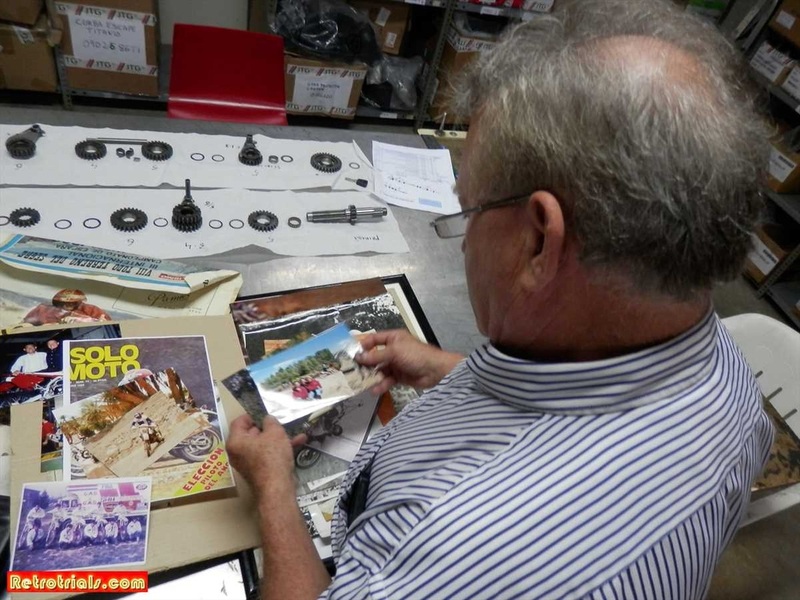 You were only riding for 1 year in the competitions and you opened the GasGas shop? September finish the 6 days, December married and I opened the shop before Christmas. Then I approach later the community to get the permission to open the shop in Dani’s house. In 4 months make everything. You opened the shop after being relativity new to the motorcycle competition? Ci, but I had been riding as a boy as little Gymkhana. The 2nd year of the shop we sell 800 bikes. 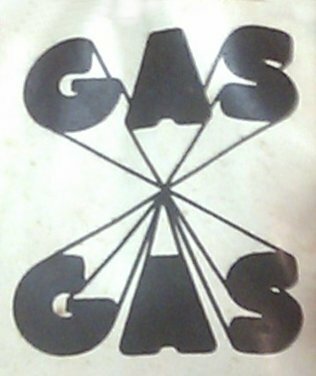 It was this time when GasGas employed their first logo. 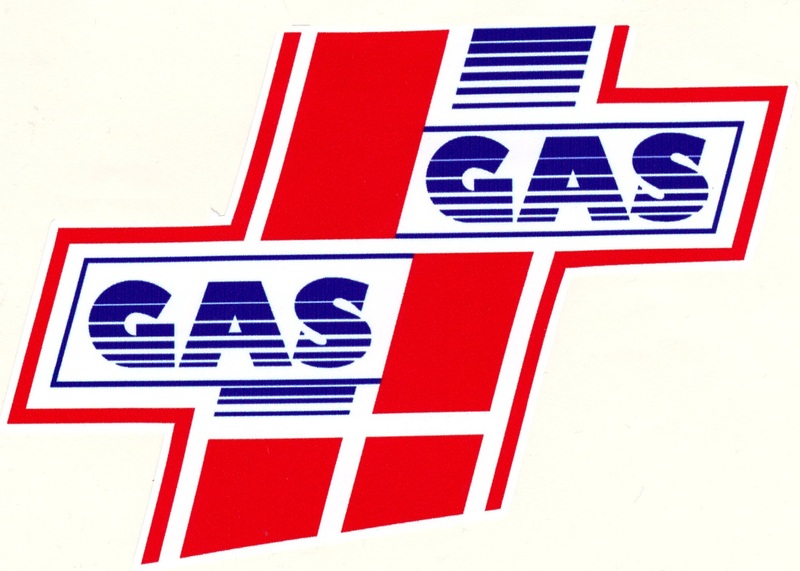 The 3D Superman logo "GasGas"
I remember one man from Holland, one very old man. He comes to see friends and on the way back he brings his van and fills full of Bultaco from me and takes back to Holland. He no get stopped by customs as he is very old ha ha ha. 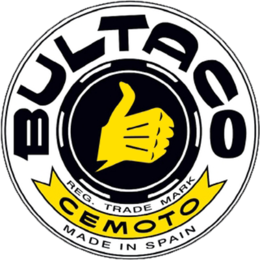 A lot of people in Europe come to my shop and buy Bultaco Trial, Motocross and Enduro from me. 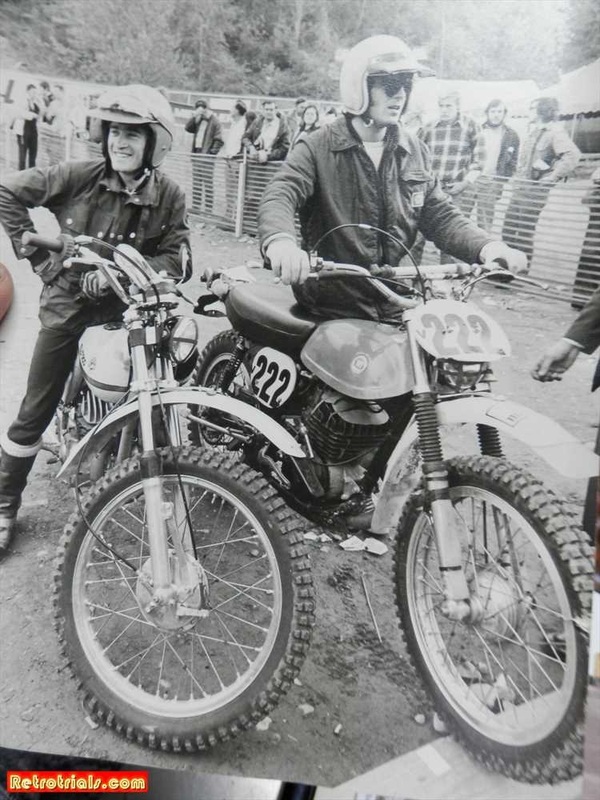 After, when they need spare parts they come me and I know the suppliers of Bultaco. 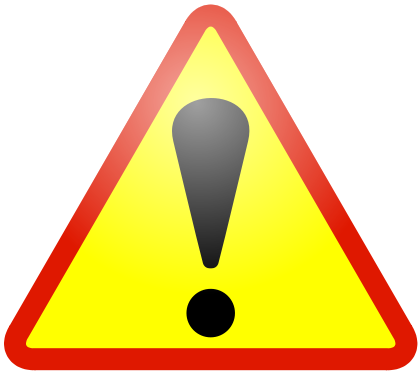 When Bultaco have the problems and they are about to close. Before close the Bulto family are very close with Franco the dictator. 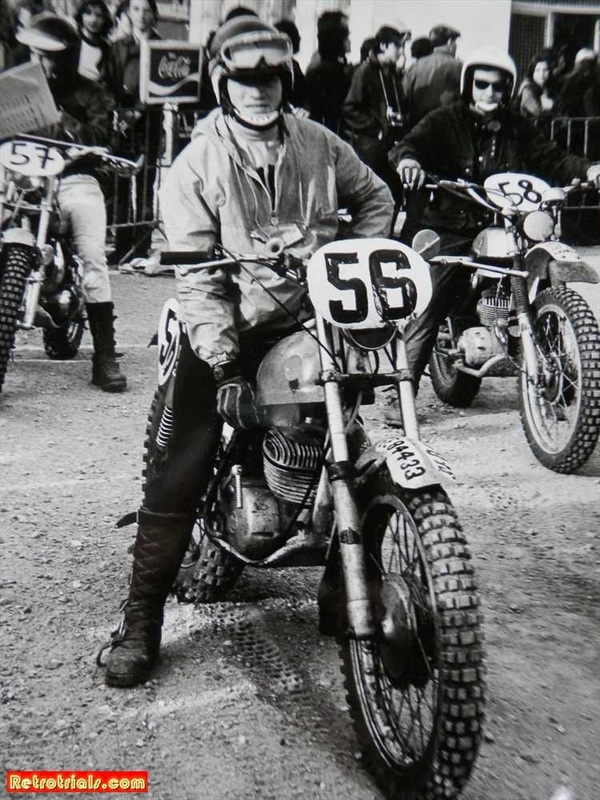 Bultaco always needed credit and lots of it. Back in the 1960's and 70's the state i.e. Franco issued credit. 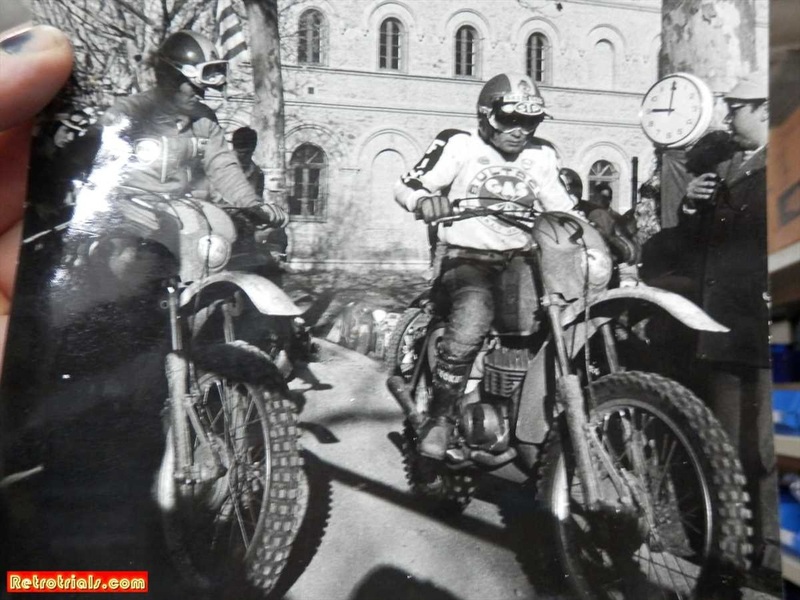 Bultaco was a success and the Franco government liked to be associated with it. 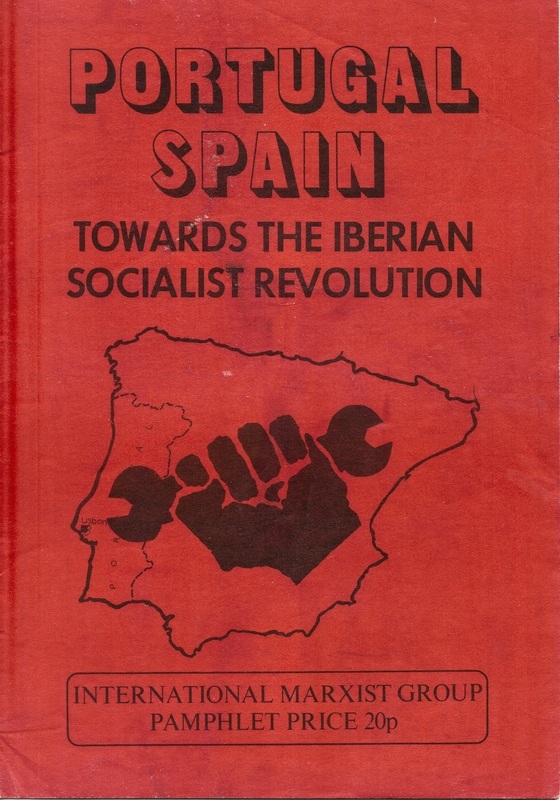 These close ties coupled with the the Bulto close family relationship with the Spanish royalty made then a target for the socialist movement once Franco died. When Franco dies everybody says “We're free”. They make the confusion between liberty and being free from work. They could not understand this and there were a lot of problems. 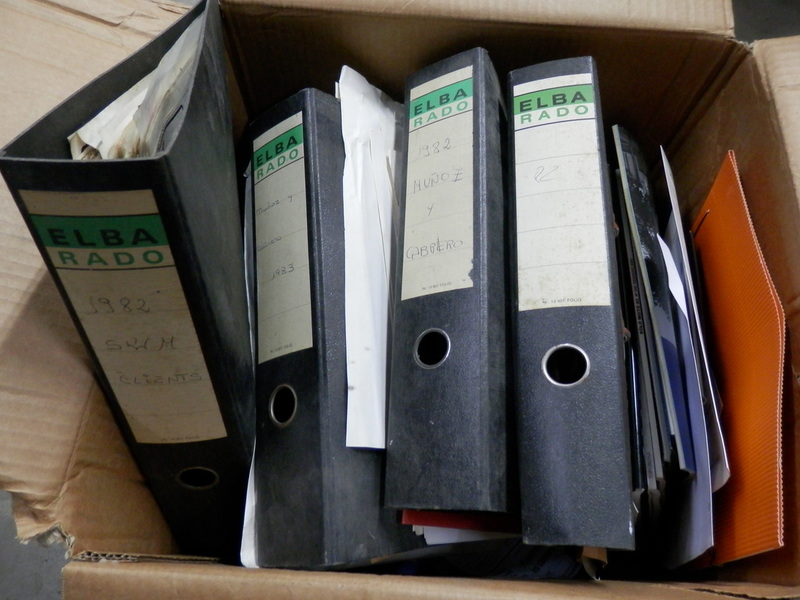 The suppliers would arrive Bultaco with pieces but the managers no put these in the warehouse and the 20 men with the paper work record that the seats for the Pursang were but they no really know anything. They no allow anything to be sold from factory. The people no want work and its very complicated. Mr Bulto was a very good man, very good. He has a problem with the heart and no go factory. In 6 months he has died. Nobody take control of factory. 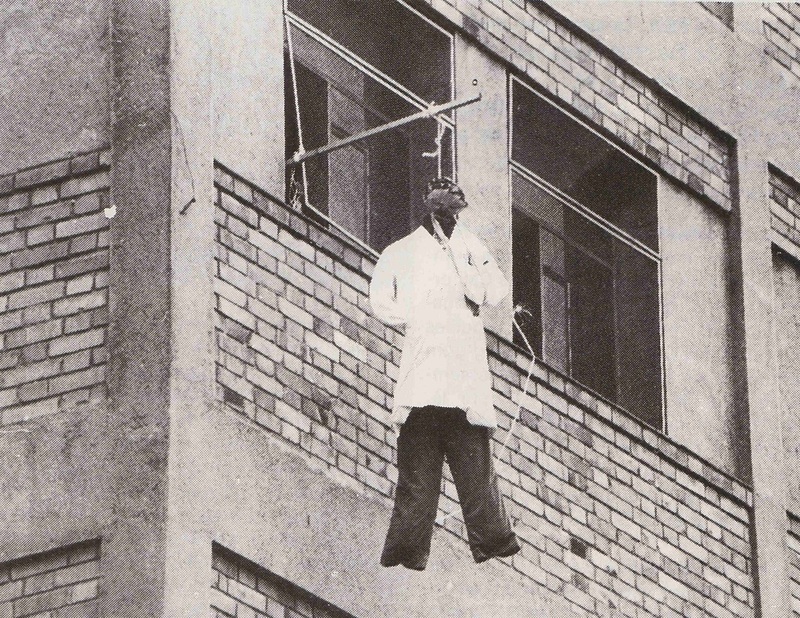 This horrible image was taken at the height of the problems .Ironically i am sure that if asked today , the same people that hoisted up this mannequin would say wonderful things of the Paco. They were all swept up in the moment of socialism.